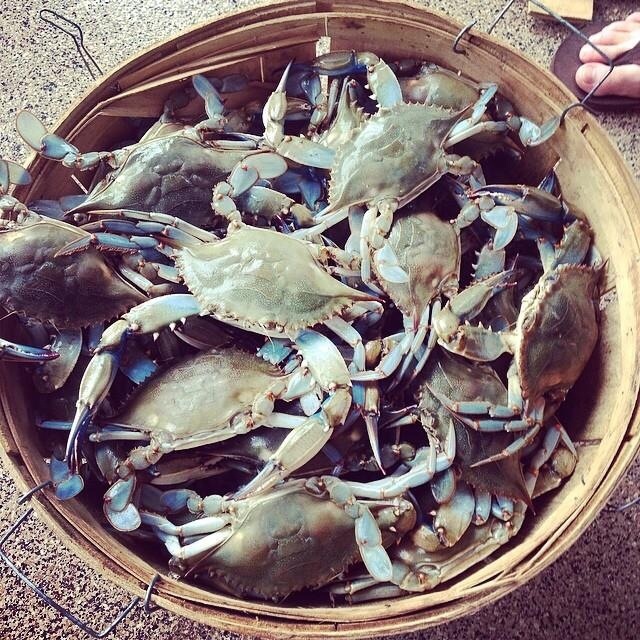 Nothing says east coast mid Atlantic like blue crabs. Yes! They're mean suckers fresh out of the trap!